My naturopath advised me to use Dental-Chord while I am going through the process of having my metal fillings removed. Active Ingredients: Aceticum acidum 15X‚ 30X‚ 60X (Acetic Acid); Ammonium muriaticum 15X‚ 30X‚ 60X (Ammonium Chloride); Argentum metallicum 15X‚ 30X‚ 60X (Silver Metal); Aurum metallicum 15X‚ 30X‚ 60X (Gold Metal); Calcarea fluorica 12X (Calcium Fluoride); Calcarea phosphorica 12X‚ 30X (Calcium Phosphate); Carbolicum acidum 15X‚ 30X‚ 60X (Carbolic acid); Citrus limonum 6X‚ 12X‚ 30X (Lemon); Cuprum metallicum 15X‚ 30X‚ 60X (Copper Metal); Ferrum metallicum 12X (Iron Metal); Formalinum 15X‚ 30X‚ 60X (Formaldehyde); Glycyrrhiza glabra 4X‚ 6X (Licorice Root); Lappa major 4X (Burdock); Medulla ossis suis 9X‚ 12X‚ 6C (Bone Marrow); Mercurius solubilis 12X (Quicksilver); Myrrha 6X (Myrrh); Natrum fluoratum 12X (Sodium fluoride); Palladium metallicum 15X‚ 30X‚ 60X (Palladium metal); Phosphoricum acidum 15X‚ 30X‚ 60X (Phosphoric acid); Phytolacca decandra 4X (Poke root); Selenium Metallicum 15X (Selenium); Silicea 12X (Pure flint); Stannum metallicum 15X‚ 30X‚ 60X (Tin); Staphysagria 6X‚ 30X (Staves acre); Stillingia sylvatica 4X (Queen’s Root); Trifolium pretense 4X (Red Clover); X-ray 30C; Zincum oxydatum 15X‚ 30X‚ 60X (Zinc oxide). Shake well. Take 5 drops orally once daily‚ working up to 30 drops twice daily‚ or as directed by a healthcare professional. Staph and Strep bacteria hidden in jaw! No! Are you kidding me? You mean that bacteria from the last strep throat took up residence in your most recent dental work? Yep! 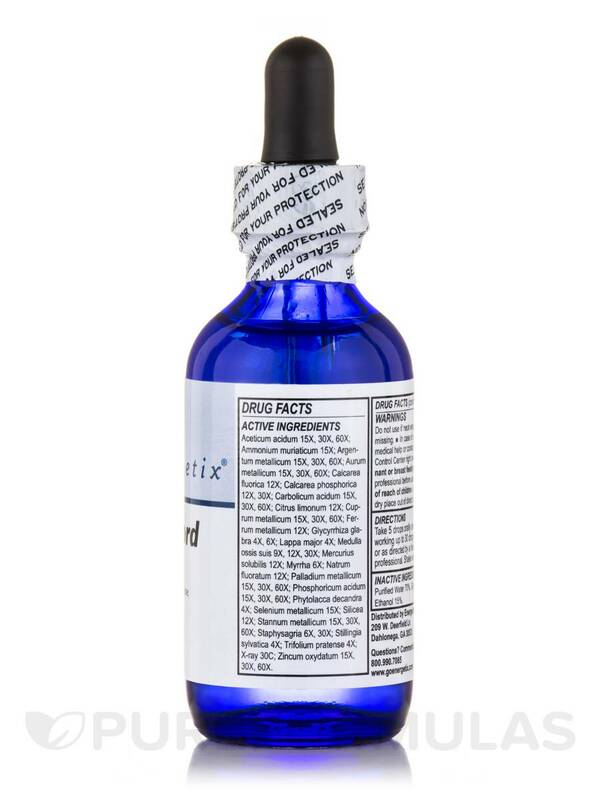 This homeopathic remedy addresses several types of trouble causing bacterias..and keeps the population in check! Simple as a dental swish! 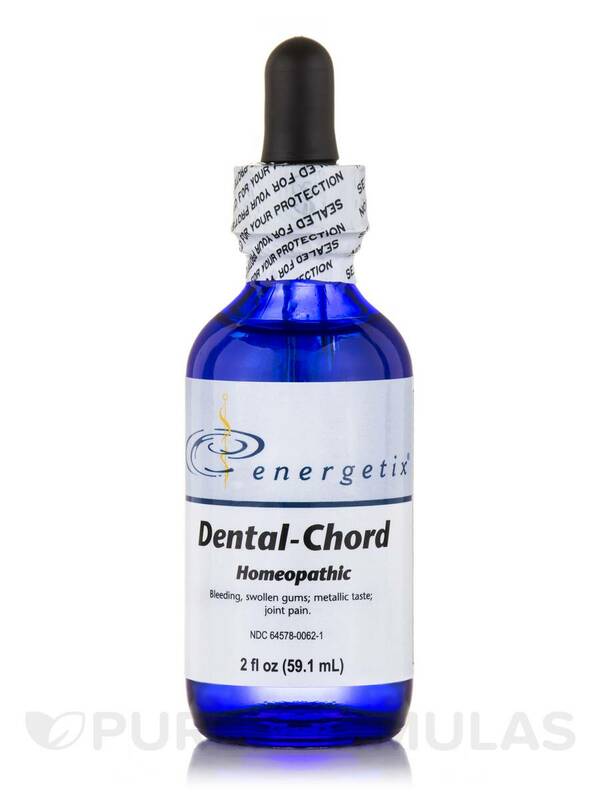 Dental-Chord by Energetix really does the trick. A friend told me about Dental-Chord. Had a terrible abscess. With only 1 treatment, I had wonderful results. Doesn't taste bad at all. Works great! My husband and I use Dental-Chord regularly. We both have sensitive teeth and this is a great help. 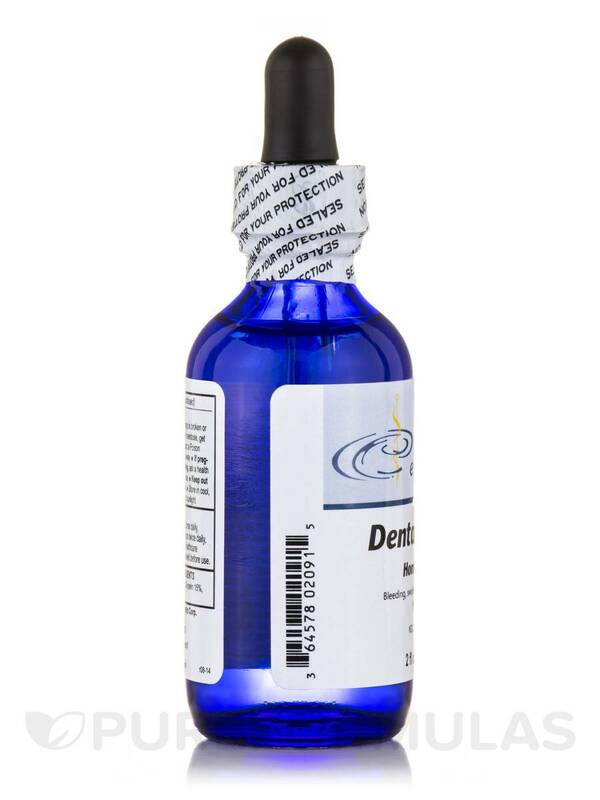 We also use it for other problems like sinus difficulties sore throats mouth sores and other problems. It is a great product to keep on hand at all times. Wouldnt be without it. I like everything about the product. I don not dislike the product but I wish it were a little less expensive however it does last a pretty long time. Often when we have a health issue it goes beyond the surface level. Dental chord does such a good job healing from the inside out as things manifest themselves in the teeth and gums but have roots in organs and glands. Our family loves this product! I am a strong believer in Homeopathic remedies. I just had some teeth removed. 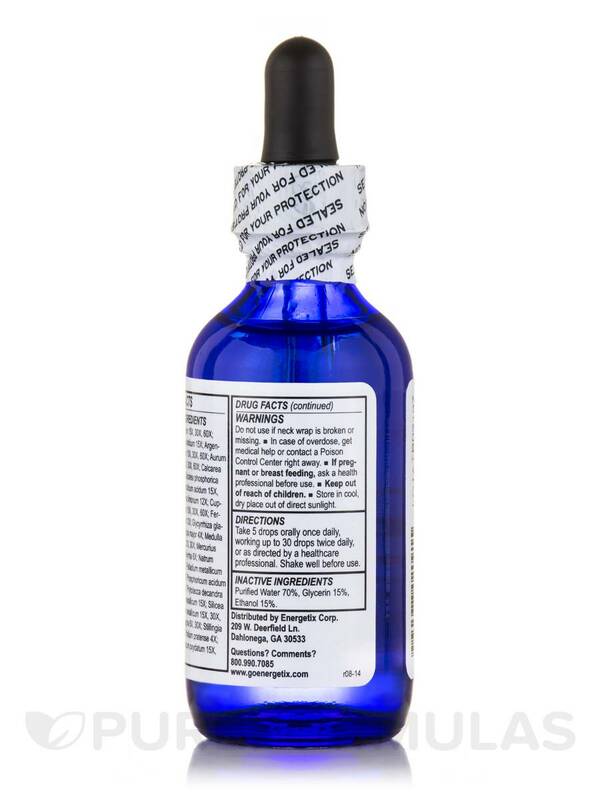 Is it okay to take this product immediately after, or should I wait until the inflammation dissipates? Hello, thank you for contacting PureFormulas. 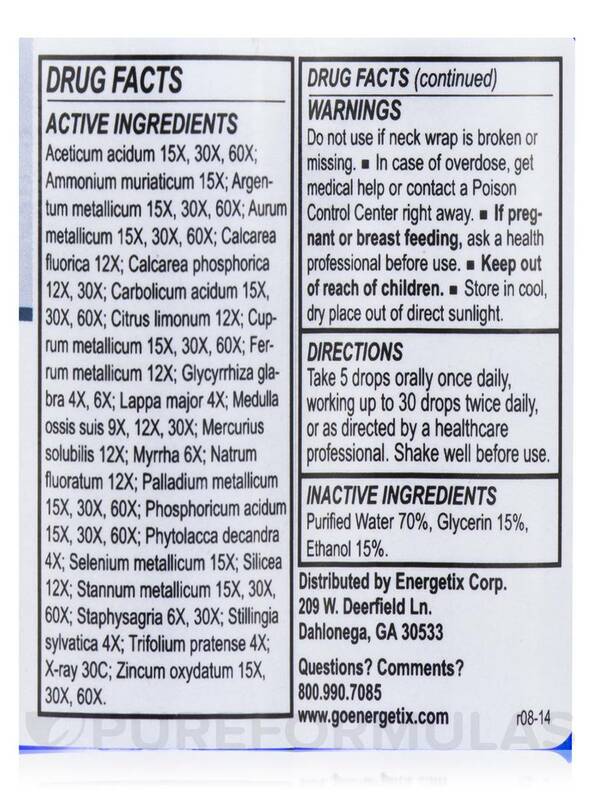 Please consult a healthcare professional before use.